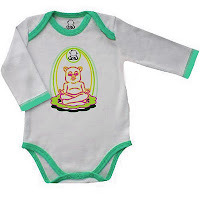 cool moms cool tips: Celebrate Earth Day: Discover Golden Curly Tail Bamboo T-Shirts & Onsies! Celebrate Earth Day: Discover Golden Curly Tail Bamboo T-Shirts & Onsies! Green, Green, Green. Yes, we want to be as green as we can, we can to teach our children by example and get all of us involved in genuinely caring for our planet. Truth be told, it is not as common sense or as “natural” as to us anymore, not in today’s world. • what is really being green to a busy mom? • recycle your water bottle, better yet, designate a water bottle that you will re-use. • Try cloth diapers, your grandmother probably remembers all about them, she can guide you! • Get to know Golden Curly Tail, we are pleased we have! As you see, the good news is that every bit counts and helps. Small steps lead the path into a green life. By making changes to our habits or lifestyle, no matter how small, the final result is a reduced amount of negative impact from us to the world. We are very excited to have the privilege to introduce you to something that definitively gets you on the right eco-friendly lane: Golden Curly Tail. Curious name! one with great luck on its side. You see, the daughter of the founders of the company was born in 2007. 2007 marks the Lunar calendar as the Year of the Golden Pig, a very special year that happens every 60 years. Those fortunate enough to have been born under this year are said to bring many blessings. The Golden Curly Tail company has a onsie and t-shirt for toddlers line made out of organic cotton and bamboo. Guess what? both of these bamboo and organic cotton are two of the world’s most eco- friendly and sustainable fabrics. 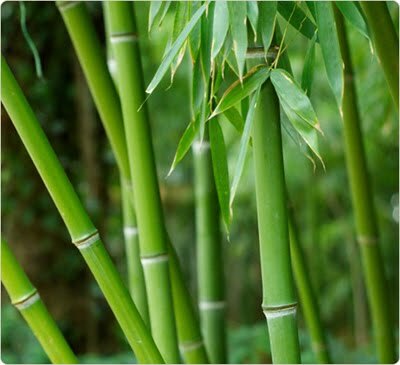 Let’s get to know bamboo fabric a bit more, and remember all the while that Golden Curly Tail uses Bamboo in their products. • In less than 3 months it attains its full-grown height of 75 feet. What does Bamboo mean converted into a fabric? Naturally hypo-allergenic and anti-bacterial, it requires of no pesticides when transforming fibers into fabric. It provides UV protection, so all around it keeps even the most sensitive and delicate skins safe. Additionally, it can take in and dissolve human sweat instantaneously so clothes made out of bamboo will not stick to your skin thanks to its ability to absorb water at 60% the rate of cotton. Under activity, Bamboo will keep you comfortable, not only for what we just exposed, but also because it is softer than regular cotton. It is said to keep you at a perfect temperature as it maintains you cool when exposed to hot weather and warm in cooler climates. An amazing raw material for superb products! We had never experienced a fabric quite like this. It is out of this world! The quality of Golden Curly Tail products is easily perceived and appreciated. The Bamboo fabric is so soft and powdery it is a true delight. Light and supple it is the perfect garment for baby. Paired with all the super powers of Bamboo itself, this makes anyone excited to have chosen green as their new lifestyle! We tested the product on a hot and muggy South Florida day. Our sample was long sleeved, so we were on the look out for overheating from too much play, but none to report: baby kept fresh and comfie. Actually, this Golden Curly Tail tee is our next summer best friend, as it will, on top of those long sleeves are sure to give some additional protection from bugs and mosquitoes! Since Golden Curly Tail is dedicated to high quality, through natural and eco-friendly materials the final products translates into durable and long lasting items that can be enjoyed by future generations that can reuse them for years to come. The final rendition of their eco-friendly philosophy, results in clothes that are free from pesticides and harmful chemicals; hence, having the lowest impact on the environment and the best products to cloth babies and toddlers safely and comfortably. Softer than soft, absolutely comfortable and perfect wash after wash (just be careful, bamboo does shrink a little, so keep it in mind when ordering yours). We can still give you some icing on the cake: all materials used to pack and ship the t-shirts/ onsies are 100% recyclable as you might have expected. We all want the luck of the golden pig, but if we really looking for another lunar calendar symbol, not to worry, Golden Curly Tail is getting them ready for us, and the first one will be, 2010’s: The mighty Tiger. - There is also a special bundle offer going on: purchase all 3 designs and save $10 on your order! - Cool Moms are privy to a special code the company created just for us. To save 15% on your entire order use the coupon code: coolmoms2010 - Thank you so much Golden Curly Tail! With all the upcoming baby showers, birthdays and celebrations, this will make for unique and special gifts with a great story behind them. We are thrilled to honestly say this is a great find, full of extraordinary characteristics and indisputable quality, courtesy of mother nature and Golden Curly Tail! It will soon turn into your favorite too. Yours to discover, we invite you to enter our giveaway: Golden Curly Tail has generously offered one lucky Cool Moms Cool Tips reader an item of your choice. To win, please visit Golden Curly Tail and tell us what you liked most of your visit. 2-Follow Golden Curly Tail on Twitter and tweet : RT @coolchillmom Celebrate Earth Day all month #win a Golden Curly Tail silky soft Bamboo tee or onsie http://bit.ly/9wCn7k(you get an entry for every tweet ; don’t forget to leave a link to your tweet). 3- Follow us on Twitter and tweet : RT @coolchillmom Celebrate Earth Day all month #win a Golden Curly Tail silky soft Bamboo tee or onsie http://bit.ly/9wCn7k(you get an entry for every tweet ; don’t forget to leave a link to your tweet). 7- Enter any of my other current giveaways (2 entries per giveaway). 8- Promote this giveaway, and give us the link of where and what you did. (3 extra entries). *Open to US and Canada residents. *Make sure we have a way to reach you, by either enabling your email through blogger, or leaving your email in the comment. *Giveaway ends on May 22nd, midnight EST. *Winners will be announced on our Facebook fan page, join us there . *Winners will be contacted via e-mail and will have 48 hours to reply or new winners will be chosen. *Cool Moms Cool Tips is not responsible for sponsors not honoring their offer.